To begin with, the HYDAC Process Bag Filter PBF is suitable for continuous filtering of solid contamination from low-viscosity fluids. E.g. cooling lubricants, washing emulsions and processing oils. The disposition of the separated contamination particles with the filter bag can be together. However, in order to allow larger flow rates, we can arrange bag filters in parallel switching. 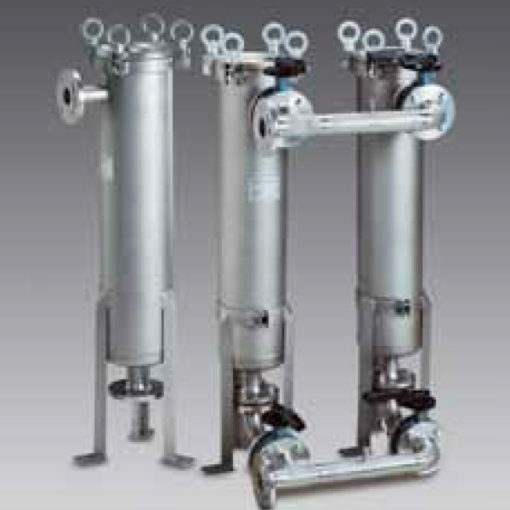 Optionally, the individual blockage of the filters conducts to operate continuous filtration. Also, the delivery of the housings includes an adjustable base frame. Furthermore, the filter housings consist of simple and easy to handle welding constructions made of stainless steel to hold filter bags in Sizes 1 or 2. What’s more, the standard series features a vent screw and a connection for a pressure gauge. On the other hand, the process bag filter housing has a pressure absorbing basket made of stainless steel. It has also a pressure device which fixes both bags with steel ring and bags with plastic sealing lip securely and bypass-free. Therefore, the fluid enters into the side of the filter cover. Then, it flows through the filter bag from the inside to the outside. The outlet is in the centre of the lower dished end.